Hell " NO" tO HILLARY CLINTON, biggest liar. I love how everyone looks at the things Trump says, the way he acts, and immediately wants to not vote for him because he's not afraid to speak his mind and be real with the country like every other two-faced president that wears a fake smile we've ever had, such as Clinton. To be honest, you people should look at the president's /policies/ before you judge them, and not the way they behave or whether you like them or not. Is Trump a total D-bag? Yeah. Is he going to be a bad president? Well let's look at the facts. Trump wants to eliminate ISIS from the picture, crack down on illegal immigrants and build walls to keep more of them out, make sure all those people have licenses and whatnot, as well as make sure that, as a country, we are taken seriously. This can only boost the economy. What is Hilary going to do? Well, the exact opposite. She wants to make 'friendly' with every other country by starting this ridiculous open door policy that will literally end up letting more immigrants into this country, hurting more jobs, the economy, and yes, people, this includes SYRIANS. You know, those people who caused 9/11 and terrorize people left right and center (not just America) because they believe that their God wants them to? Yeah. I don't think I'm voting for someone who's going to be all nice to the people that want to blow up this great nation. I'm voting for the D-Bag. I am from Europe and I see how Cilnot lies and use hers connections to get all votes and they president friends are on the one hand. Can you not see that Clinton has a Obama as a friend too. So if you vote for Clinton nothing will change they are like team who gets friends one by one in President spot. All cops violenc will continue, chemical drugs will continue, Isis will be still. Think..why you Americans vote all the time President's friends into the President position lol It's nothing will change, wake up get a new person who are not connected with that secret team. Please, do not make America be despised for every other civilized country. You have lots of fantastic people that do not deserve it. World SaY nO tO TRUMP.....so is my views. Yes to Clinton. 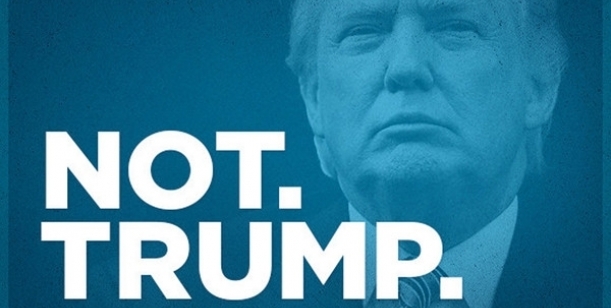 I will not vote for Trump. He cant lead, and he makes fun of people who are disabled. I am disabled, and he makes fun of me??. Hell No. Im not even gonna vote cause of the candidates. Nothing good will come out of this election . Donald trump dont deserve to be president of the United Estates because he dont know how to guide such a big country and he is not prepeared and he would never be.